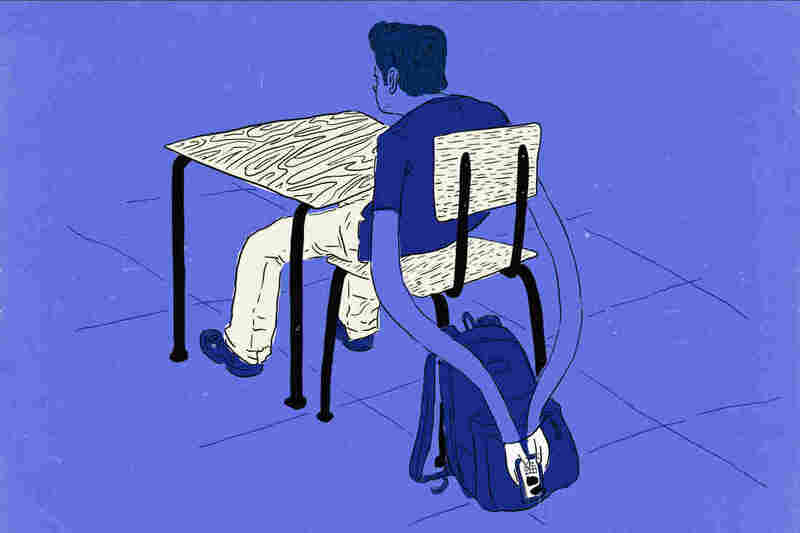 How To Get Students To Stop Using Their Cellphones In Class : NPR Ed Go cold turkey or take tech breaks? Two professors offer different solutions. Our Ideas series is exploring how innovation happens in education. Almost all college students have a cellphone. They use them an average of eight to 10 hours a day and check them an average of every 15 to 20 minutes while they're awake. "I was stunned how well it worked," Doug Duncan wrote in an email to fellow astronomy professors, which he shared with NPR Ed. But, until now, beyond sharing that data with his students, he hadn't come up with a plan for reducing smartphone use. Three class meetings later, he wrote, the no-cellphone rule is still going strong. "I asked two students on the way out why they voted to put their phones on the desk. They said, 'We know we aren't supposed to use them, and this gives us a reward for doing that.' "
Should other professors follow Duncan's lead? I asked Larry Rosen, a research psychologist and professor emeritus at California State University, Dominguez Hills. He studies smartphone use among college students. As simple as it sounds, Rosen doesn't think simply incentivizing students to turn off their phones is a good strategy. "It doesn't get at the real underlying issue of why students are distracted," he explains. "Most college students are heavy users who are going to get anxious and stressed within 10 or 15 minutes if they can't check their phones." In experiments, Rosen has shown that students' heart rate and other vital signs spike when they hear their phones ring and can't answer them. He says that putting the phones in sight, but out of reach, even when turned off, will only increase that anxiety and the distraction that comes with it. Rosen's prescription, instead, is to give in to the distraction, but at measured intervals. "I start by calling a tech break, where they can check their phone for one minute, every 15 minutes," he says. "Over time you can increase it to 20, 25. And within a couple weeks you can get them to go 30 minutes without needing it." But Rosen doesn't ask his students to go a whole hour without checking the phone. "To go the entire class without checking is far too anxiety enhancing." College instructors, what do you think? Is your class a no-phone zone? And if so, how have you done it?